I’ve been hearing a lot of debate recently about to where to find the best apple cider donuts and I question whether they are truly worth the 1-2 hour drive that some require. While I do appreciate these warm, delectable treats, especially on a crisp Autumn day, I am an equal opportunist and believe that donuts of all flavors should be celebrated and enjoyed throughout the year. Thus, began my quest to find the best donuts on the North Shore (regardless of season)! So, for those in need of a more immediate donut fix, and want to skip the whole orchard scene, check out the list below! This small batch, artisan donut shop has been a welcome addition to Evanston and due to popular demand is now open during the week from 7 am - 4 pm (closed on Tuesdays), in addition to their weekend hours from 8 am - 2 pm. While they carry a fresh assortment of basic flavors, they have become infamous for their “fancy” variations that feature cereal (think Cinnamon Toast crunch and Fruity Pebbles, Fridays only) and other fun toppings and crème fillings, including bacon! Expect new tasty concoctions every weekend. Tag’s bakery is a favorite family morning outing for donuts and coffee cakes. They offer a fine selection of cake donuts and raised donuts as well as a seasonal assortment including the ever popular cider donut. Bennison’s Bakery has been a North Shore institution since 1938. Their donut selection is quite large from plain cake to decadent chocolate iced custard Bismarcks. They also feature a specialty donut each day of the week. Known as a Mexican Bakery, this small, unassuming shop offers some of the best hand-made cake donuts on the North Shore. Nothing too fancy, but the price is right and they are extremely fresh. Made in store every morning, so when they run out, they’re out! Don’t miss the chocolate cake variety! You might be surprised to find this upscale restaurant on the list. But if you feel like treating yourself to something special, then stop in on a weekend for brunch where you’ll find fresh, seasonal donuts on the menu well worth the $3 asking price! Another low key, mom and pop establishment that sticks to its donuts roots. You won’t find anything fancy here, but the donuts are always reliably fresh and fluffy! Red velvet, Apple Fritter and Old Fashioned seemed to be the favorites but you really can’t go wrong. The place is nut free, so those will allergies, rejoice! Joe Donut is a small, small-batch donut shop. They make all of their own jams and filings and never use eggs, preservatives, or anything artificial and their donuts contain no trans fats. They offer a nice variety of classic and specialty flavors (Oreo, s'mores, fruity pebbles etc) They are closed on Mondays and close by 3 pm all other days and sometimes sooner if they run out - which is often so plan accordingly. Not necessarily the North Shore but close enough to make it worth your while! 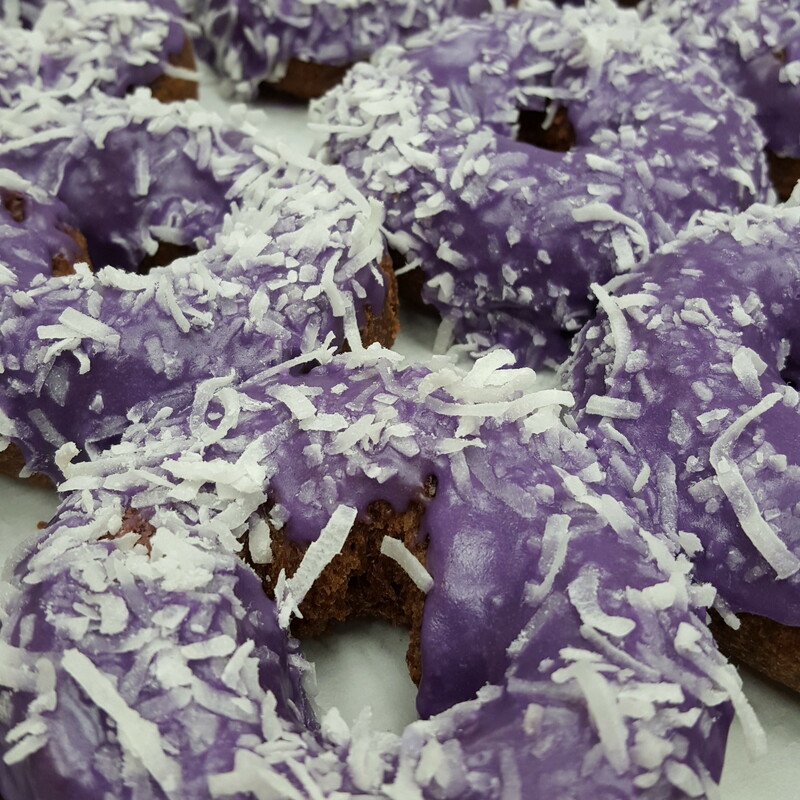 Known for their award-winning Ube Donut (available Sat & Sun only for a limited time) which features a purple yam, this family own and operated shop serves up what many considered the best donut around. They usually have about 20 varieties on hand, the only problem will be deciding which ones to order! Great service to boot! 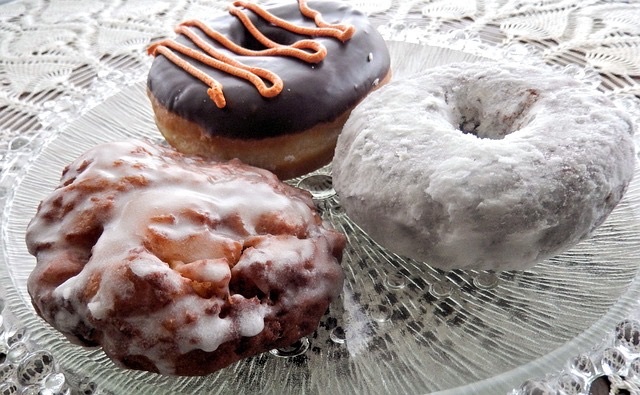 The apple fritter is worth the trip alone to this throwback donut shop. With over 37 varieties to choose from, chances are you’ll find something to suit your fancy. Bavarian Crème seems to be a favorite. And be sure to check out the Chunky Spunky, a milkshake blended with your choice of donut and favorite ice cream…desert heaven! Note: I was hesitant to include them on the list, as a recent afternoon stop resulted in some donuts that were not as fresh as expected. But people still swear by them and I am always willing to give things a second chance! Perhaps the morning is better! 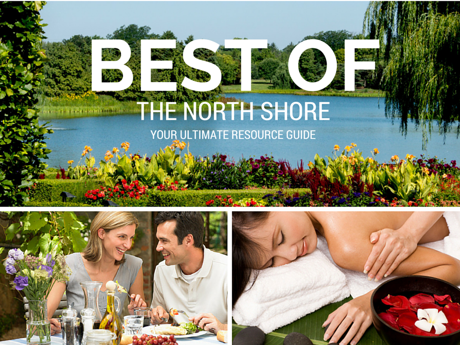 Check out the rest of the Best of the North Shore: our favorite restaurants, stores and service providers all in one place!